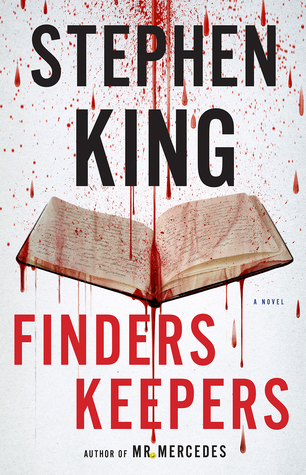 Finders Keepers is spectacular suspense. It is also King writing about how literature shapes a life - for good, for bad, for ever. Read by award-winning narrator Will Patton, who was nominated for an Audie Award in the Solo Narration - Male category for his work on both Mr. Mercedes and Doctor Sleep. I cannot believe that I have turned into a Stephen King fan. He has the reputation as a horror writer (at least in my mind as I recall Carrie, Cujo and Pet Sematary). 11-23-63 was the start of my conversion, there seems to be a slew of mystery/suspense/thriller type book out there that I am just discovering by King. But at the same times King's books lend themselves perfectly in audio format (well at least the ones I have listened to so far do - Misery, Delores Claiborne and Mr. Mercedes). Will Patton is the read of of Finders Keepers and it's the reader that can make or break the audio, in this case Will Patton was brilliant. His voice brought this book to life, I had a hard time turning my iPod off. Of course the book is central and Stephen King has shown himself to be able to deliver. Told in 1st person with 3 different pov's this reader was able to get inside each character, get to know them and what makes them tick. There was lots of action and plenty of twists and turns making this an extremely suspenseful book that was highly entertaining. 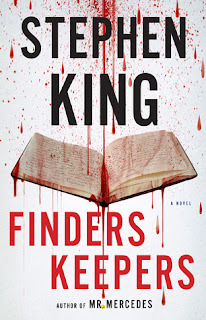 There is the connection to Mr. Mercedes here but I think this could work as a stand alone, however with book 3 coming out June 2016 I recommend starting with Mr. Mercedes.